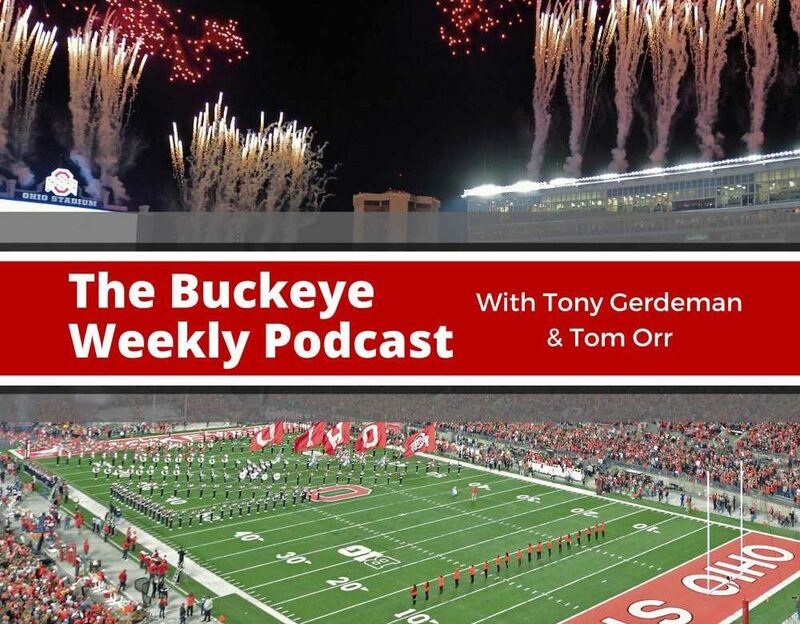 In this episode, Tony Gerdeman and Tom Orr talk the Ohio State defensive line, offensive line, and tight ends. The fellas have talked to the coaches and players, and questions are getting answered. How deep does this defensive line go? Why are the tight ends closer than ever to seeing the field more? Where do things stand with the offensive line? All of these topics and much more, including how the new defensive scheme impacts the defensive line as much as anywhere else. + We are out of the car. + Follow Tom on MySpace. + We have talked to the DL, OL, TEs, and the head coach since the last show. + The DL going from E/W to N/S. + Larry Johnson was a good soldier last year, but now he’s back in his element. + Maybe Greg Schiano didn’t do a great job last year. + Nobody on the defense wants to throw Schiano’s defense under the bus, but the front seven is much happier now than they were a year ago. + What Chase Young will do to be even better this year. + Chase Young’s goals in 2019. + Remember, Chase Young was playing on two bum ankles for much of the year and still managed 10.5 sacks and 14.5 TFLs. + This is Jonathon Cooper’s final go-round. + What to expect from Coop this year? + The nose tackles are very, very deep. + Robert Landers would play if there was a game tomorrow. + Taron Vincent on top at three technique right now? + If Vincent is at the top, expect big things from him this year. + There’s even a bit of pass rush at the nose. + This is the year that Ohio State uses the tight ends. + This isn’t just a meme. It could really be happening. + The tight ends are better than ever, and versatile to a man. 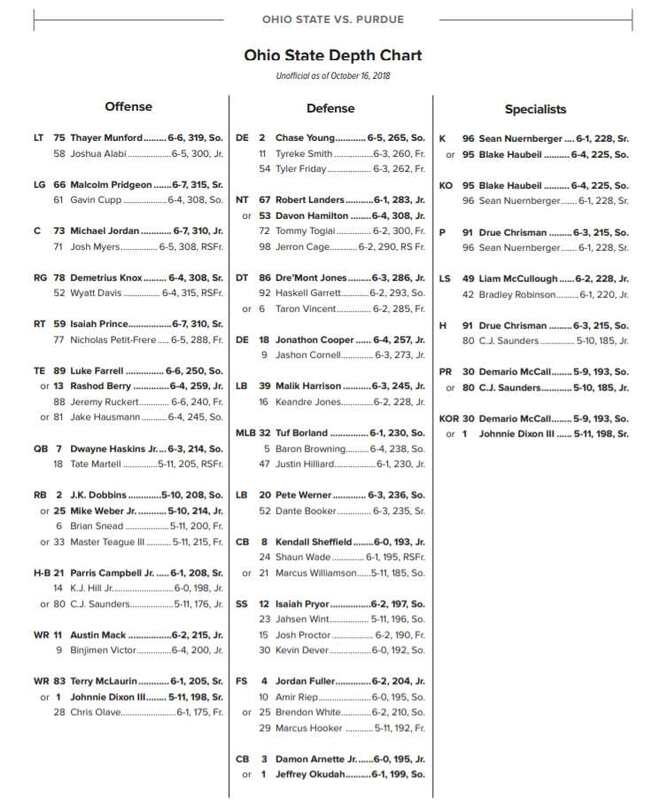 + The second tight end could be better than OSU’s third receiver, which will get them on the field more. + Jeremy Ruckert is a weapon wherever. + There are so many possibilities with the tight ends. + Luke Farrell does everything right. + Ruckert is a matchup issue. + Tom thinks this seems like maybe they really kinda mean it when they say the TEs are gonna get the ball. + By the way, keep an eye on walk-on running back/receiver Xavier Johnson. + Johnson is a redshirt freshman who was a 3-star receiver and turned down a scholarship from Iowa State and other FBS schools. + Don’t schedule North Dakota State or Service Academies. + This is a fun group of offensive linemen to talk to. + Greg Studrawa is very sure that Josh Myers is ready. + Myers is sure that he is ready too. + He understands what it means to be an Ohio State center. + Myers learned early on at OSU that he wasn’t going to be an offensive tackle. + Working against Nick Bosa and Dre’Mont Jones as a true freshman made him realize how far he had to go yet. + Studrawa said Jonah Jackson will likely start out at guard because they feel good about center with Myers and Matthew Jones. + This offensive line has come a long way since the winter, despite the graduations and injury to Thayer Munford. + There is pretty good depth already and there are five more guys coming before the season. + Harry Miller may not be on campus, but he’s still working out and going to meetings. + Ryan Day and Greg Studrawa believe Miller can play right away. + Let’s talk Nicholas Petit-Frere and his 8,000-calorie-per-day diet. + NPF is living a sportswriter’s dream…and possibly their reality. + What does NPF eat in a day? + What is our ideal 8,000-calorie day? + Always listen to Dr. Nick. + Your window to weight gain! + Gotta have milkshakes and fries. + Why don’t we get credit for gaining 20 pounds? + IHOP has all-you-can-eat pancakes with an omelet purchase. That’s a 2,000-calorie breakfast easily. + No sensible meals here. + Anybody here can go to Taco Bell right now and throw down 1,500 calories. + These are professionals telling Nicholas to do this, so don’t worry about him. + Tom puts this amount of food in perfect perspective. + Every person wants to eat a block of Velveeta like an apple. + Every person wants to take a stick of butter and eat it like an apple. + Ryan Day and the quarterbacks. + The staff is starting to tally up the numbers. + Don’t expect any announcements on pecking order. + The offer to Cincinnati linebacker Jaheim Thomas is big for two of Ohio State’s top targets. + Is the lanky outside linebacker being phased out in this defense? + Will Thomas eventually be a defensive end? Probably. + There are reasons why it took a little longer for him to get this offer. + This is a new defensive staff, after all. + This is the first of two shows this week. + Planning the perfect heist!